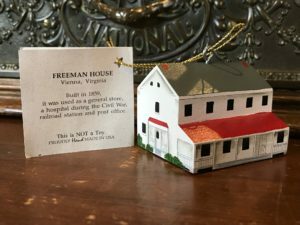 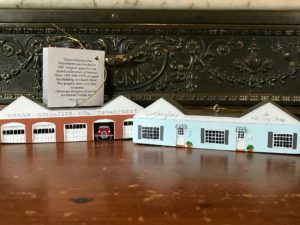 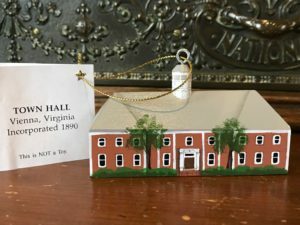 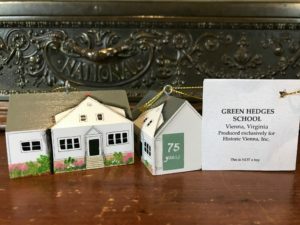 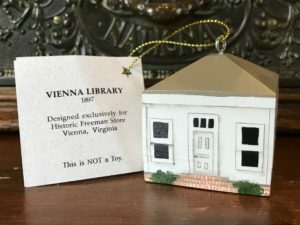 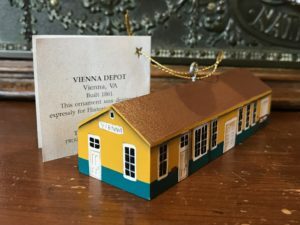 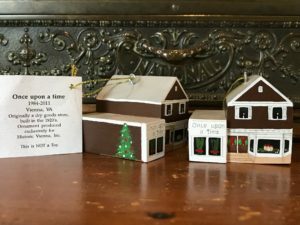 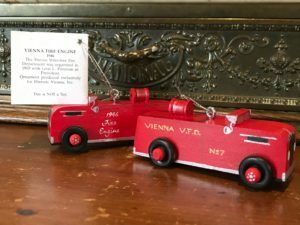 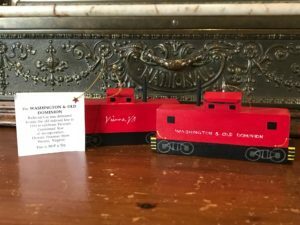 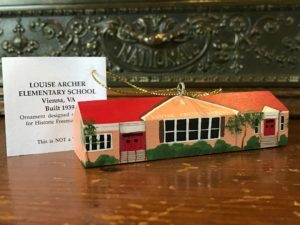 Ornament Keepsakes by R. Peden | Historic Vienna Inc.
Ornament keepsakes of Historic Vienna properties made by Rachael A. Peden in Farnham Virginia are sold exclusively in the gift shop of the Freeman Store & Museum. 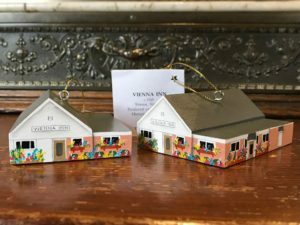 Each wooden ornament is hand cut and hand painted. 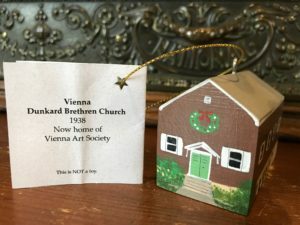 Beginning in 1997, and nearly every year since, each structure was carefully selected to become a Peden ornament and, to date, a small village has been assembled representing our mission to preserve and promote Vienna’s history through a knowledge of its past. 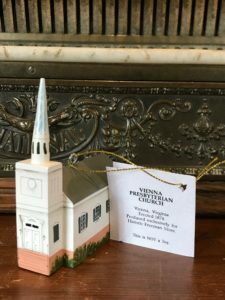 Here is a list of all the Peden ornaments we offer, including a photo of each. 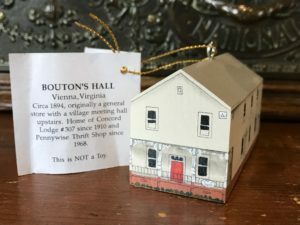 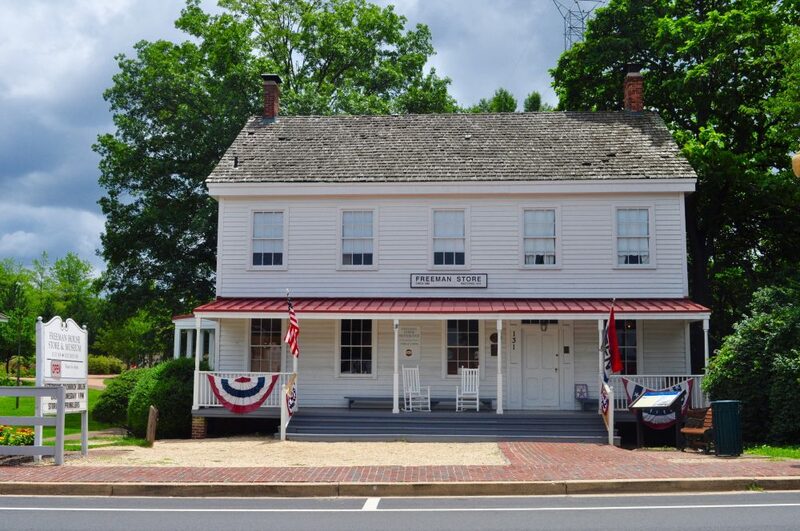 The gift shop is open Wednesdays through Sundays, 12noon to 4pm. 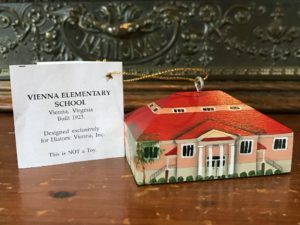 Stop in for your Peden today and enjoy owning a unique symbol of Vienna. 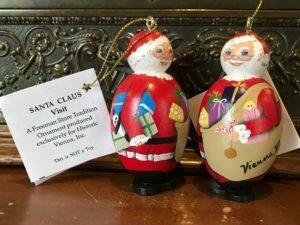 Click here for a more detailed description of each ornament. 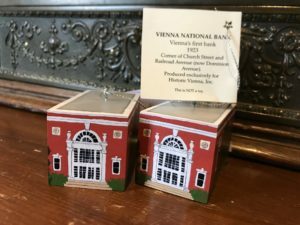 The Vienna National Bank ornament is the newest in our series. 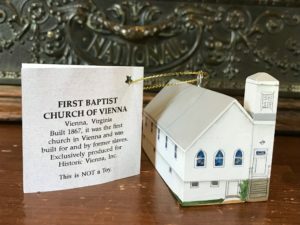 This handsome brick building with white columns and beautiful medallions was Vienna’s first bank. 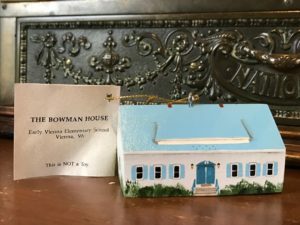 It was built in 1923 and sits at the corner of Church Street and Dominion Rd.